Experience a smarter way to manage your fleet and go beyond the basic tracking facilities, analyze every facet of your fleet – whether it is Route Management, Driver Activity Monitoring, Vehicle Monitoring, and Fuel Consumption Analysis – to enhance productivity and boost profits. With Biz4Intellia’s Vehicle Tracking and Route Management IoT solution for Transportation and Logistic industry, streamline your Logistics operations using real-time sensor data and alerts to optimize delivery routes and monitor performance. Off-road vehicle sensors assist your business in real-time tracking of your fleet, both on-road and off-road. The real-time accurate sensor data becomes very useful while making intelligent business decisions. Introducing Transpiration and Logistics Industry’s only no scale load scale IoT solution which tells you the real-time weight of the Truck/Trailer. 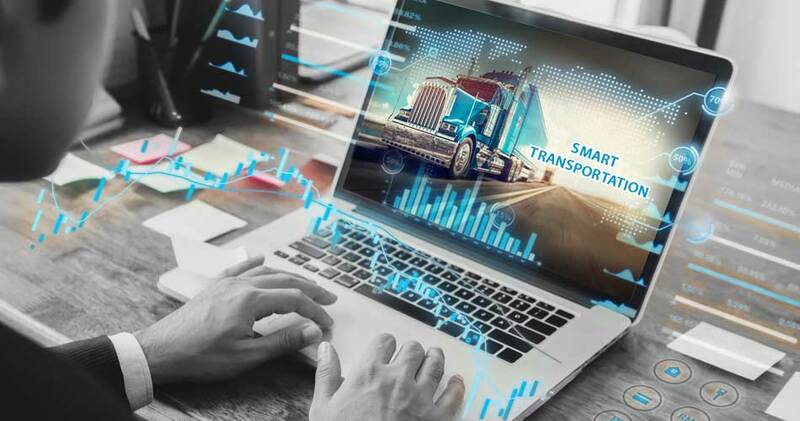 Measuring the exact weight of the Truck/Trailer has been a challenge for the trucking businesses and Biz4Intellia has come up with an IoT solution in which sensors are installed on the axle of the Truck/Trailer to get the real-time weight data. The weight data can be easily accessed using a mobile application, provided with the weight measurement IoT solution. With the fastest Return on Investment (ROI) among any IoT solution for the transportation and logistics industry, weight measurement IoT solution eliminates the requirements of unnecessary scale hardware and onboard digital scales. With IoT enabled last-mile transportation solution, make your last-mile transportation operations cost efficient to get the best returns out of your logistics business. Drivers will know the optimized delivery routes in real-time to the final destination of the package so the customers can get the expected delivery time. And the delivery confirmation can be recorded in mobile devices that the deliverer carries along with him. What distinguishes our Last-Mile smart Transportation solution from other Last-Mile solutions is the IoT backed real-time management capability, with which you can optimize delivery routes in real-time. How convenient it is to integrate with the sensor? WKC weigh module offers a compact, durable, and cost-effective solution for onboard weighing in IoT solutions for Transportation and Logistics, where high resolution is needed. With the complete electronics integration, no additional unit is needed for data communication. A low profile, low energy consuming Bluetooth 4.0 Smart Wireless SensorBug, which uses its 3-Axis accelerometer and other sensing capabilities that provide a user-friendly and interactive way to monitor, configure and control the Temperature, Vibration, and light. The on-cell LTE cellular gateway is a secure and reliable LTE gateway with state-of-the-art global LTE coverage. This LTE cellular gateway provides a more reliable connection to your Ethernet network and serial connection for cellular applications with a multi-band support and VPN support with NAT/OpenVPN/GRE/IPsec functionality. A Plug&Play Multichannel IoT gateway that may contain up to 4 different radio interfaces, including WiFi 4.4 GHz (Access Point), a 4G/3G/GPRS/GSM and 2 XBee/RF radios to connect any sensor with IoT in Transportation. This IoT Gateway also integrates a GPS module for mobile and vehicular application and may include Bluetooth and WiFi radios. The 3G Cellular Gateway is a plug&play gateway, based on a 3G (UMTS/GSM) wireless engine and has 50,000 sensor message memory to help the data retention with IoT in Transportation. This gateway is available with or without an International Cellular data plan. The backup battery inside the gateway allows it to continue operating for up to 24 hours in the event of a power failure. With the introduction of Industry 4.0 or Industrial Internet of Things (IIoT), digital transformation has begun to show its profound impact on the transportation and logistics industry. As industry regulations have forced the Transportation and logistics industry to do more with less, the profitability is threatened across the board. At the same time, the transportation and logistics industry is witnessing cut-throat competition and demands a digital transformation for efficient business operations. Implementation of IIoT in Transportation and logistics industry is a way out to make Transportation and Logistics management effective by ensuring safer traveling and more efficient performance. Devices used with samart Transportation and logistics, are making traveling safer, performance more efficient, and even help to find a parking space to park your vehicle. The real-time tracking and analyzing, need a constantly connected network that transfers huge amounts of data and controls systems and devices. Biz4Intellia provides an interoperable End-to-End Industrial IoT solution that analyzes vehicle performance and stores data (even if a device is offline) to predict or prevent vehicle maintenance. Intellia IoT, an end-to-end Industrial IoT business solution provided by Biz4Intellia, is the last mile transportation solution that assures safety and performance of vehicles and workforce. Monitor your shipment condition and take immediate actions in real-time. The real-time temperature, humidity, and light monitoring capabilities will act as an upgrade to your cargo shipping process and ensure that there there are no food spoilage or cargo contamination during transportation. The smart contract makes the contracts self-executing and enforceable. Using smart contracts, approvals and customs clearance can be more efficient, and quicker which reduces processing time for goods at customs checkpoints. Keep track of each truck’s running time, idle time, distance traveled, and average speed. And get notified when drivers exceed their speed limits. Ensure safety of drivers by implementing Intellia IoT business solution in Transportation and logistics which monitor driving hours and driving habits of the drivers that leads to an effective logistics management powered by IoT. By implementing IoT in your logistics business, you can reduce your inventory carrying cost by predicting future demand using historical trends. Data analytics plays a significant role in analyzing the data and getting sense out of it. The future demand predictions will allow you to manage the optimum inventory level which results in lower inventory handling cost. Ensure optimal utilization of your assets and cut down the costs by implementing IoT in your Transportation and Logistics business. You can evade unplanned downtimes by predicting future equipment maintenance requirement and also can remotely monitor your fleet operations in real-time. The real-time visibility into your operations makes your decision making intelligent. Real-Time Device monitoring and Data Analytics will give you complete control over your business processes and help you to make informed business decisions. Constant communication among devices will ensure that you get notified if anything related to your business operations doesn't go as desired. Know where your vehicle is and keep track of its routing activities, which reduces travel distance and helps in rerouting the vehicle according to the traffic and road condition on a particular route. The IoT technology streamlines the transportation and logistics industry by providing real-time data and alerts to optimize delivery routes. With the implementation of IoT in Transportation and logistics industry you can prioritize large no. of orders to serve urgent needs of customers and make the delivery of multiple no. of orders on time by monitoring and analyzing real-time traffic data, which results in increased customer loyalty and customer retention. There are innumerous benefits that the transportation businesses can reap by implementing IoT into their business operations. These benefits extend across the entire logistics value chain, fleet management, warehousing operations, and last-mile delivery. IoT has transformed all the way from Tracking the vehicle to measuring the weight loaded in the Trailer, vehicle routing according to traffic condition, smart contracts, and gathering all this data for further analysis to make smarter business decisions. With the help of devices like scanners, controllers, beacons, RFID systems, and a comprehensive IoT platform that interconnects IoT devices with apps, IoT is making Transportation industry more efficient and effective. How IoT became a one stop solution for Transportation..